Anne Tweddle took to gardening with a passion after moving to a new house in Suffolk, spurred her to join conservation charity Plant Heritage (PH) over 20 years ago after reading about them in a magazine. “I was soon propagating plants for my local branch sales and their National Plant Exchange, which all members can access, and since then I’ve never looked back!” said Anne. As one of the charities Plant Guardians Anne looks after hardy chrysanthemums and pelargoniums, with seven varieties of the latter currently in her care. “They’re all obtained through the Plant Exchange scheme,” explained Anne. Three favourites are ‘King of the Boars’, an enigmatic variety about which Anne knows little. ‘Roller’s Satinique’, an American-bred, scented leaf-variety, with a straggly habit, but amazing salmon-pink flowers, and ‘Pink Raspail’, grown at Pyrford Court, Surrey in the 1920’s, and only saved by a PH member obtaining cuttings before all the original plants were unwittingly destroyed. A deep love of nature and wild plants so fuelled young Beth Otway’s desire to help protect the natural world she decided to grow miniature types of orchid inside her Surrey home. Horticulturist and writer Beth started collecting miniature orchid species a few years ago, buying plants from specialist nurseries, the Orchid Society of Great Britain of which she’s a member and growers, especially the Writhlington School Orchid Project in Somerset, run by teacher Simon Pugh-Jones. 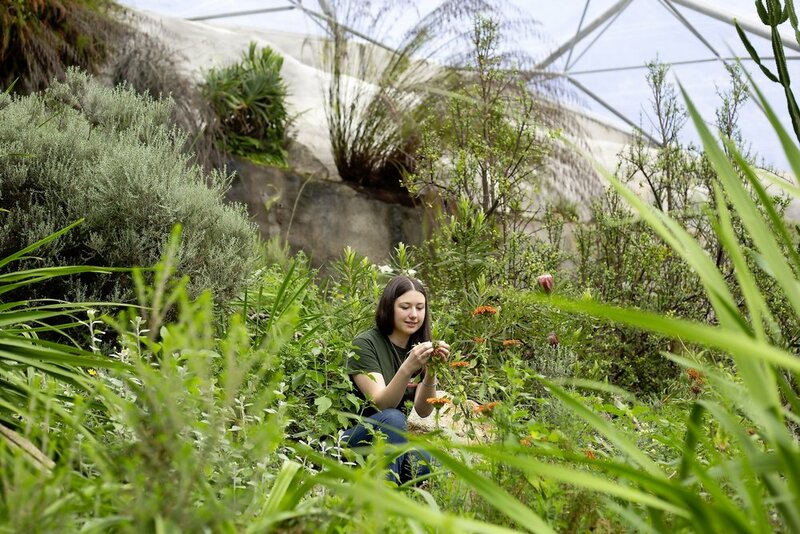 Specialising in aerangis and angraecum from Africa and phalaenopsis from Asia, enterprising Beth grows most things in terrariums, repurposed from glass containers and vases, turning them into miniature plant worlds that mimic the cloud and rainforests in their native homelands. “I’ve so many terrariums, at least ten in my bedroom!” said Beth “I’ve designed some myself, fitting them with artificial illumination, ventilation fans and misting equipment.” It was soon after founding her collection that Beth joined conservation charity Plant Heritage, receiving National Plant Collection status in March 2018. 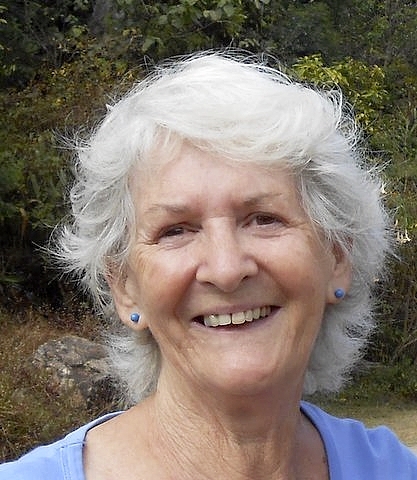 Ann Can, a Plant Guardian and passionate plant propagator based in Devon. While most people are influenced by parents or peers, passionate gardener Ann Cann caught the growing bug from her son. “Although interested in gardening from an early age, it was only when my son David became interested and started bringing all these unusual plants home that my sister and I fell also under their spell,” said Ann, who has a small, windswept hilltop garden in Crediton, Devon. One of the plant societies she joined 25 years ago was conservation charity Plant Heritage, and she started propagating unusual varieties from her garden for its branch plant sales. In 2013 she decided to catalogue all the plants in her garden on her computer. On checking her list against the RHS Plantfinder, an online database of garden plants in cultivation, she found many of her plants had two or fewer stockists, with some not available anywhere. “This was when I became a Plant Heritage Plant Guardian,” said Ann. The charities Plant Guardian members register and care for individual garden plants known to be rare or threatened. The first plants she registered were Hebe lavaudiana from New Zealand and shrubby gum weeds Grindelia chiloensis and G. integrifolia from South America. This 20cm-50cm (8-20in) tall evergreen shrublet is only found growing on the Banks peninsula in New Zealand’s South Island where it inhabits rocky granite outcrops and exposed cliff faces. Threatened in the wild through habitat loss and over grazing by goats, it’s also rare in UK gardens. Clothed in small, red-edged leaves it produces dense clusters of pale pink flowers in spring. Generally hardy, it needs an open, airy, sunny, well-drained position and is effective on wall tops, pots or troughs. Lightly shear off spent flowering shoots to keep plant neat. 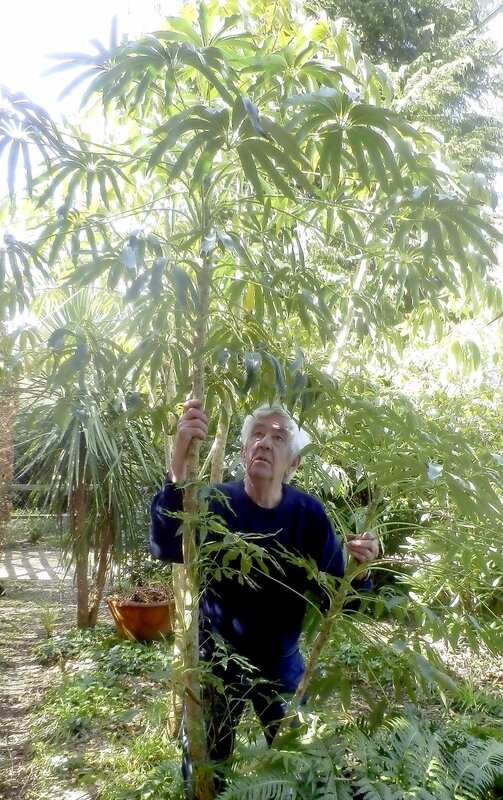 A childhood fascination with the prehistoric world spurred Robbie Blackhall-Miles’ passion for ancient plants. While his brothers were enraptured by dinosaurs, Robbie was enthralled by the world they inhabited and plants living in those times. That spark never left him, and after taking a degree in environmental management and a seven-year spell as propagator at Crug Farm Plants near Bangor in North Wales Robbie is now pursuing his dream by working as a horticultural consultant. He is currently leading the redevelopment of the garden at the Natural History Museum and travels to see plants in the wild. “Among 1,118 different plant species squeezed into my tiny garden and small nursery I’ve developed one of the largest collections of the protea family in the UK,” said Robbie. He holds the Plant Heritage National Plant Collection of banksia from South East Australia, shrubs that have changed very little over millions of years of evolution. 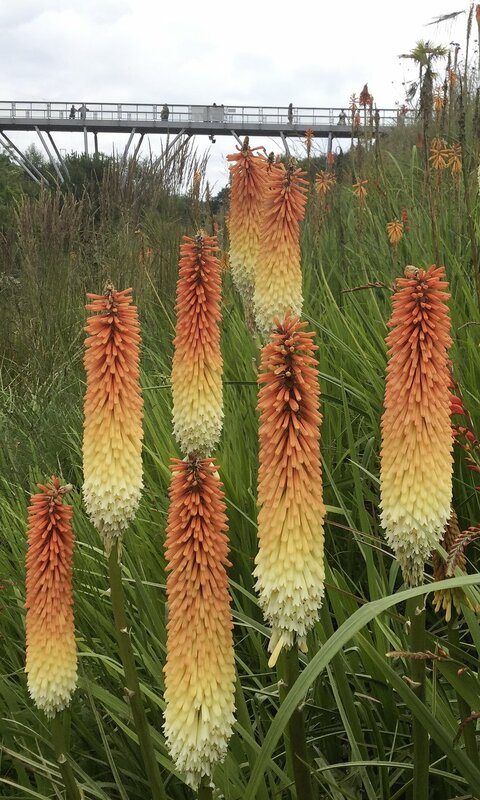 He currently grows 12 species, and one variety, Banksia ‘Birthday Candles’, which he considers the easiest to grow.